Happy Friday everyone! I’m sitting here at the beach, having a glass of wine and enjoying some chips and salsa while putting together this blog post. I may be on vacay, but this was too incredible a week in the writing blog-o-verse to not gather and share my top picks of the week <—And I had a hard time picking this week since there were sooo many awesome, informational posts out there! 10) “Author Intrusion: 12 Pitfalls to Avoid” by Roni Loren. Can I just say how much I love and enjoy reading Roni’s posts?? This particular post is here for a very good reason: I’m a repeat offender guilty of #7: Information Dumping (especially in the first draft), #8: Paying Too Much Attention to the Setting or Not Enough, and #10: Putting the Cart Before the Horse. So needless to say, my Muse was talking to me while reading that post, nodding her head and smugly stating “told ya so”. Roni, my Muse thanks you….this list was printed and is currently taped to the wall next to my monitor. 9) “What I Say When I #amwriting…(my process)” by Johanna Harness <—creator of the #amwriting community on Twitter. Wow! Just….wow! The flow charts in Johanna’s post are amazing. Her rough draft process? I can follow that….no problem! But the revision process? I had to look at it for about an hour just to absorb every bubble and where each one was connected. My #amwriting process is nowhere near this caliber, but I must say that I got several ideas to add to my own after seeing these awesome flow charts. Get over and check them out. 8) “5 Creative Flaws That Will Expose Your Lack of Storytelling Experience” by Larry Brooks on Storyfix.com. I saw this post as great advice for every writer, not just newbies. I’ve been writing for several years, just as most of us have, and during my first and second drafts, I still use proper names with dialogue and I overwrite time fillers and/or food descriptors (I’m a total foodie, by the way) and I do it a bit too often, especially in the first draft. Would it save me time if I keep this in mind while I’m banging out that first draft? Possibly. Am I willing to give it a try and find out after reading this post? Absolutely. 7) “Crafting a 25-Word Pitch” by Marcy Kennedy over at Girls With Pens. I was drawn to this particular post because Marcy mentions the Facebook post by Rachelle Gardner in which she asked her followers: “In 20 words of less, tell me about the book you’re writing right now.” Well, I responded to this post with my 20 words, and it sucked! So you can imagine that I was grateful to find this post. Marcy breaks down the points you need/should include in your pitch. I don’t know about you, but it’s hard to take your 80,000-word story and shrink it down to one sentence. I’m a wordy person in case you haven’t already noticed! If you also want further info on pitching, Rachelle Gardner had two great posts this week also: “Pitching Your Novel” and “Your Verbal Pitch”. 5) Another double dose of So You Think You Can Dance goodies!! We’re down to the Top Ten and now it’s every dancer for themselves vs. the contestants dancing in couples. So, as individuals, they are paired with an All Star Dancer who is both from a previous season of the show, and an expert in their dance style. The Top Ten dancers had a phenomenal week, so of course I had to go with two dances again, right?!? 4) “Deciding When to Show and When to Tell” by Martina on Adventures in Children’s Publishing. This is a prime example of what I love about the blogging world! 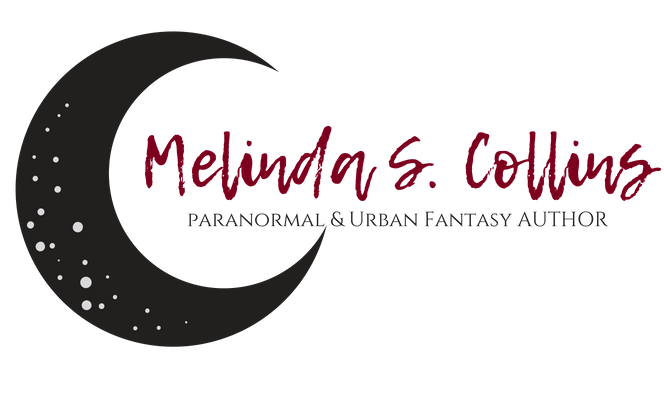 I’m an adult paranormal romance and urban fantasy author with no shades of YA, but yet I love to learn from sites like this where the posts are written by YA and children’s authors. Techniques of the craft are the same across the board. Whether you’re writing children’s, MG, YA, or adult. We all share the same techniques and learn from one another. This is yet another post that has been printed and added to my notebook of blog posts/writing tips. 3) “How To Leave ‘Em Wanting More! The Wonderful World of Potter” by Lisa Gail Green. Lisa perfectly lists exactly why every fan of JKR is left wanting more Harry Potter: World building, supporting cast, and an outstanding story and hero that will never leave our hearts and minds. THIS is what every aspiring author strives for. We each want to create a story with characters that will reach the masses and be memorable for generations to come. 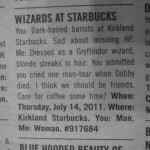 Lisa’s post is part of the Harry Potter Blogfest. Seven awesomely wonderful bloggers created #PotterChat on Twitter and a scavenger hunt contest that is currently taking place. You only have until 5pm EST today to gather the clues, answer the questions and email your answers. The prizes? Well, you can pick from a wide variety such as a beta read, a first chapter critique, or a copy of two books (one will be released in September, the other is A Writer’s Guide to Harry Potter by another great blogger, S.P. Sipal). There’s a total of nine prizes to choose from and it’s first come first serve, so find the clues and send it in by 5 so you can be one of the lucky winners! 2) “What’s Your Blogging Style?” by Jami Gold (psst…. Jami’s one of the awesomely wonderful bloggers in the Harry Potter Blogfest). Yet another great post from Jami, and this one I really enjoyed reading. It really got me thinking: What keeps you reading a blog post? Is it because it’s short, therefore easy to read? Or is it because of the content, therefore leaving you to not really care if it was a long one? And if it’s a long post, does it flow well, or does it leave you flat to where you have to start skimming? What makes you want to leave comments for the author? Thanks, Jami, for a wonderful, thought-provoking post about blogging. I’m still getting on my feet with this blog so I found this incredibly helpful! 1) “Testing the Idea-Is It Strong Enough to Make a Novel?” by Kristen Lamb. I’ve been following Kristen’s blog for quite a while now, and I’ve come to cherish the information I’ve gained and the techniques I’ve learned. This particular post is a fav because of the LOCK system: Lead Objective Conflict Knockout. Never heard of it? I didn’t either until this post. The LOCK system is a great technique and I was incredibly excited to learn about it. I won’t go into too many details here because I’m just learning about it, so I may not be able to explain it as articulately as Kristen. The system is from Plot & Structure by James Scott Bell – a book I have on the shelf but haven’t dove into yet. Guess I better get on that, huh?. Q4U: Are you finding the links on ‘The Week In Favs’ posts helpful in locating the best of the best in writing blogs? Do you have any suggestions for future ‘Favs’ postings? Please, please share with me (please also be nice). Hope everyone has a wonderful and cool weekend! By Melinda CollinsIn The Write StuffTagged #MyWANA, editing, So You Think You Can Dance, week in favs, writing3 Comments on This Week In Favs……….